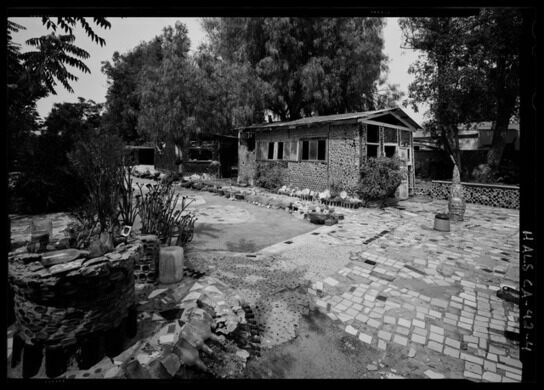 Tressa “Grandma” Prisbrey was almost 60 years old when she began building the Bottle Village in 1956. 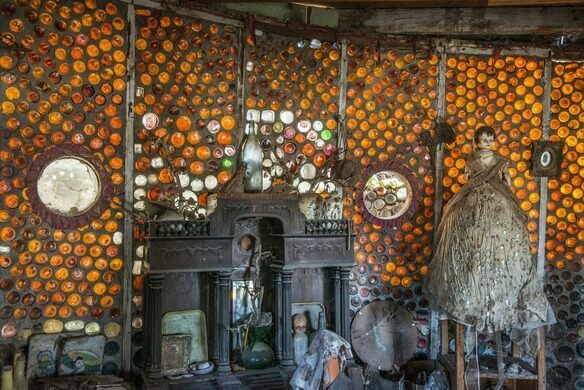 Thirteen buildings later, the Bottle Village is now a historic folk art landmark. A performance hall at the American Jewish University moonlights as a sci-fi film location set. The White House Situation Room was taken apart in 2006 and shipped to the Ronald Reagan Presidential Library. 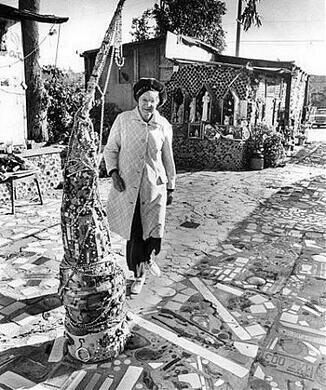 The eccentric 1/3-acre lot in Simi Valley, California is full of fantastical sculptures, shrines, walkways, fountains, and structures constructed almost entirely out of tens of thousands of discarded soda, beer, wine, and miscellaneous bottles found in Prisbey’s daily excursions to the local landfill. 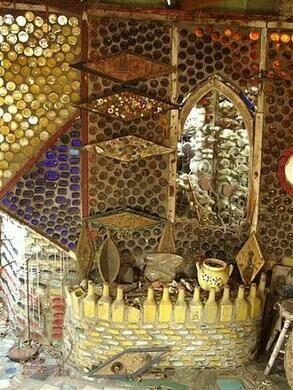 The cornucopia of bottles is held together with mortar in a confounding style of outsider architecture that defies the laws of physics and gravity. 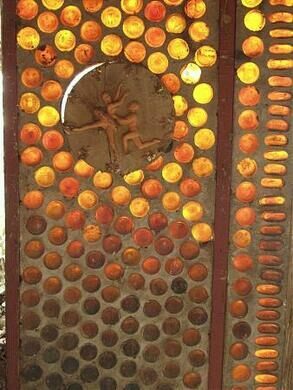 As you wander the grounds, you may discover other pieces of discarded ephemera and nostalgia, like a disembodied baby doll head or a shrine made out of various salvaged materials. The “Pencil House,” the “Round House,” the “Shell House” were all created by Prisbrey, who worked on the village for 25 years, well into her 80s, making new buildings to house her ever-growing collection of art along the way. 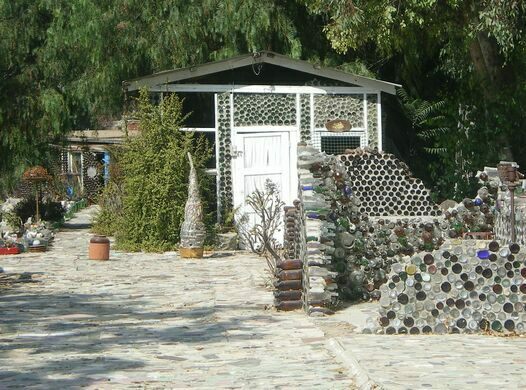 The impressive Bottle Village is now a California State Historical Landmark and is listed on the National Register of Historic Places. These designations recognize the creativity of such a large-scale folk art environment and the great accomplishment of one determined, inspired, and self-taught “grandma.” Though Prisbrey died in 1988 and the village was badly damaged in a 1994 earthquake, much of it is still intact, and can be toured by appointment. We explored Grandma Prisbrey’s Bottle Village on Obscura Day - April 9, 2011.